Next installment in a bestselling game series devoted to LEGO bricks and developed, as usual, by Traveller’s Tales studio. This title is Warner Bros'. response to the growing popularity of franchises like Skylanders or Disney Infinity. 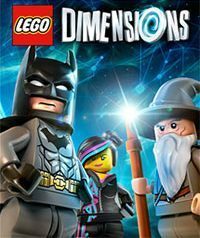 LEGO Dimensions, for the Xbox 360 console, is the next game from the English Traveller’s Tales studio, known for the extremely popular series of LEGO platformer productions, which includes such famous titles as: LEGO Batman, LEGO Harry Potter, LEGO The Hobbit, LEGO Indiana Jones, LEGO The Lord of the Rings and LEGO Marvel Super Heroes. Simultaneously, it is the first of the developer’s games to feature interactive LEGO figures. This novelty is an obvious attempt at challenging the market of such productions, which is currently dominated by the Activision company and their Skylanders saga. There are also other titles based on this technology, such as Disney Infinity and also various games which use the amiibo figurines, made by the Nintendo company. The gameplay in LEGO Dimensions is based on similar mechanics to the competitory products, apart from the game itself we also receive actual interactive figures, which we transport into the virtual world by using a special port – the Toy pad. Afterwards, our character is teleported into a level, where we battle alongside other players to stop the evil lord Vortech from annihilating all of humanity. LEGO Dimensions is sold in various bundles, connected to a number of different brands. Inside the starter pack we can find the figurines of Gandalf, Wyldstyle, Batman and the Batmobile. Moreover, we can also purchase a Back to the Future themed set, a LEGO Ninjago bundle, several Ninjago Fun Pack packages, two different kinds of the DC Comics Fun Pack, as well as the Lord of the Rings trilogy bundle.